We sadly said our goodbyes to my grandmother. She was 95, still living on her own while legally blind. I am so blessed that returning to Idaho meant 13 years of creating memories and adventures with her. My kids will always remember their great-grandma and I treasure this gift and legacy that is rare for many children. My stamping team sent beautiful cards with words of comfort. 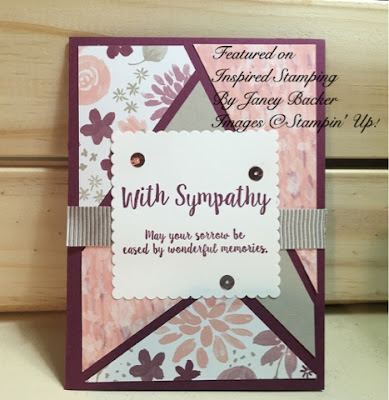 I deeply appreciated these sympathy cards and wanted to share them with you. Marcy Kowallis designed this beautiful card. The dragonfly comes from the "Awesomely Artistic" stamp set. 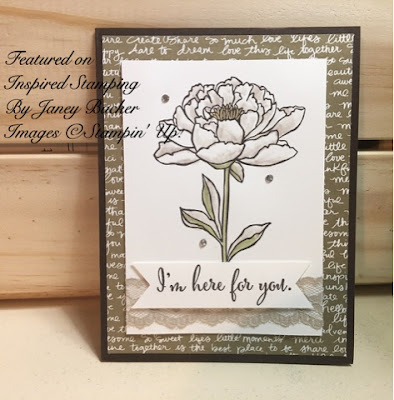 Becky Roberts designed this touching, monochromatic card using the "You've Got This" stamp set. Jen Gaurino designed this sweet card of soothing pastels and geometric shapes. Susan Loughrey designed this lovely card. The colors are very peaceful. Aren't these lovely? I am so grateful that they took time to send thoughtful words in a beautiful card. Thank you for visiting today. I appreciate your kind words and support. 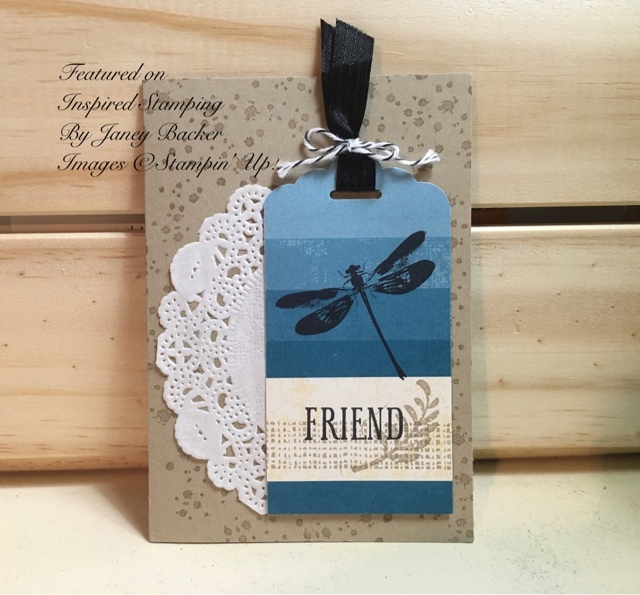 Please join me for a local class - I really enjoy spending time with my stamping friends.